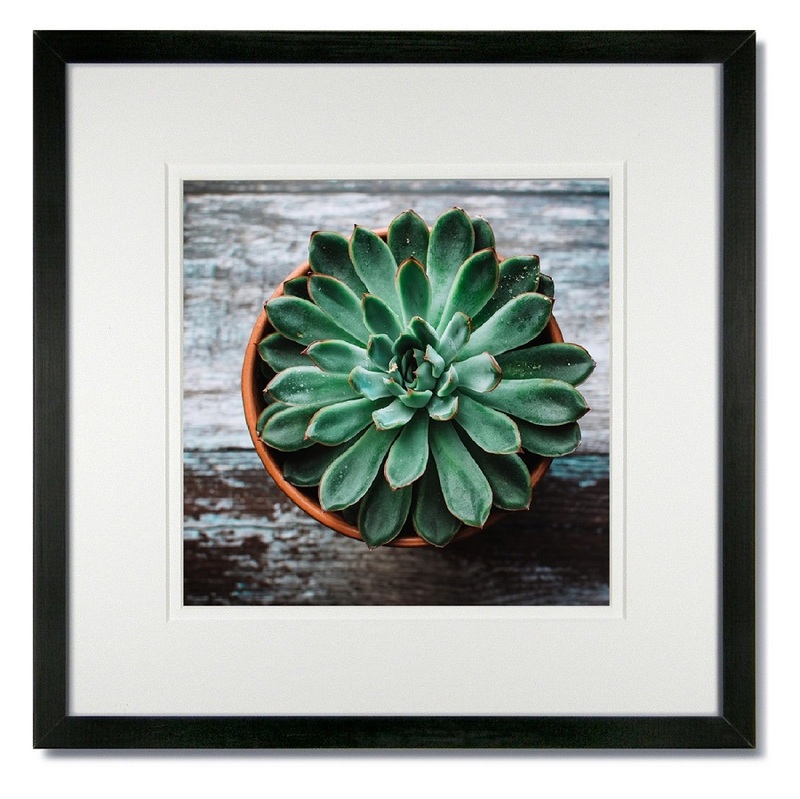 The Gallery Black Wood Frame with Double White Mat includes clear glass and backing. This solid pine wood picture frame has a 5/8″ wide, flat top moulding with a black stain. The double white mats are acid free, ph-neutral, bevel cut with a white core that will not yellow over time. 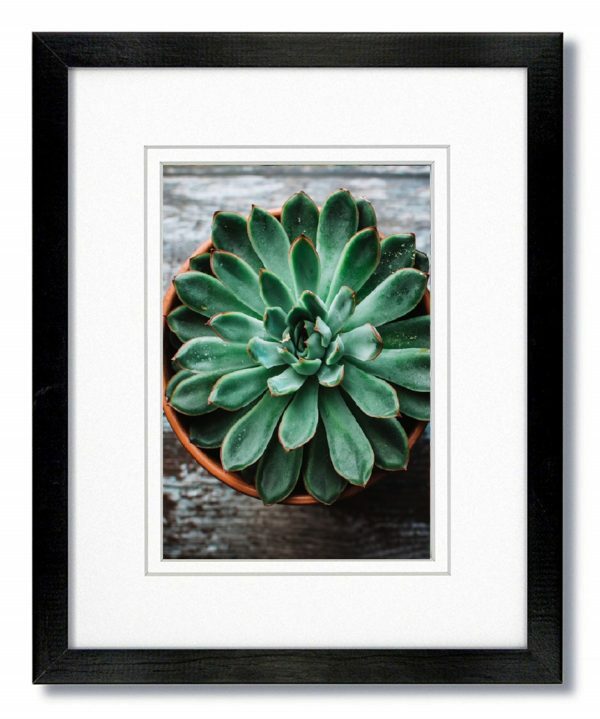 With simple, modern, gallery styling, this frame is great for artwork or photographs. 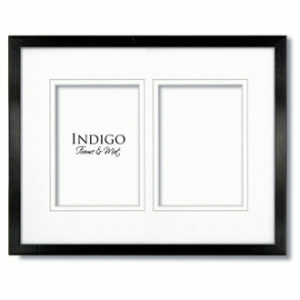 All frames include hanging hardware for wall display (either vertically or horizontally). Easel backs are included on smaller sizes up to 10×10 for table top display. 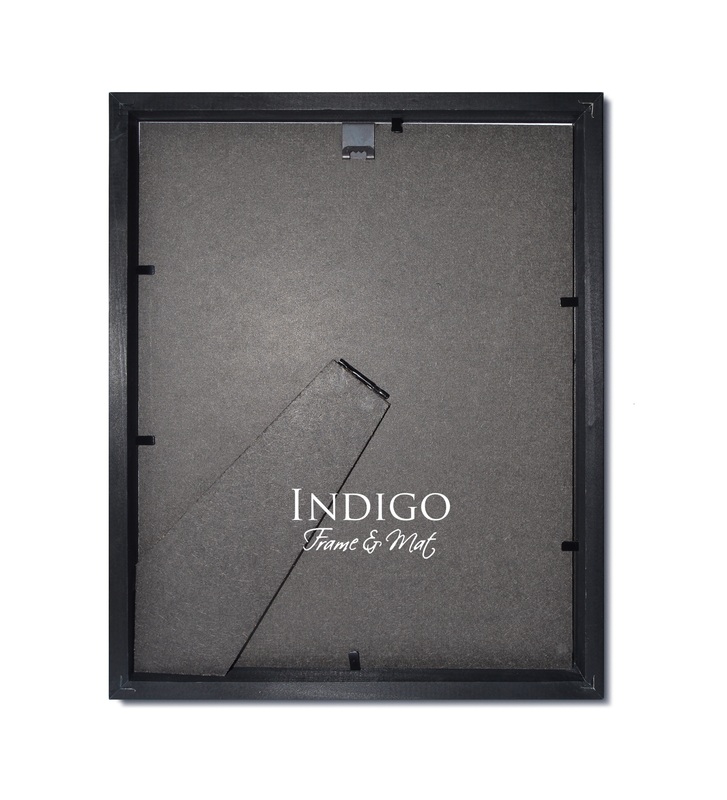 Frames are individually shrink-wrapped with protective corners. Our pre-cut mats are packaged separately in clear cellophane bags. 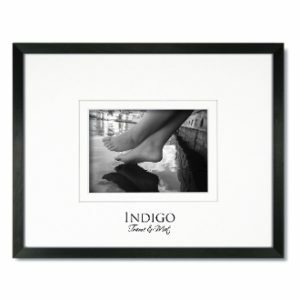 16×16 frame with mat to fit 12×12 image. **Mats can be cut to custom sized openings upon request. Other finishes available in limited sizes: Dark Walnut Stain; Teak Stain; and Natural Light Wood (clear stain).